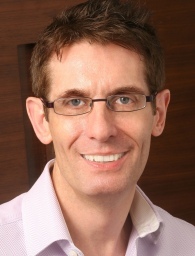 Paul Robinson is Chief Executive of the Radio Academy in the UK and Managing Director of Creative Media Partners Ltd, a full service consultancy with television, on-line, radio and production clients in the UK and international markets. Paul founded KidsCo in 2005 and, as CEO, built it into global children’s linear and VOD network in 98 countries and in 18 languages worldwide before a 51% controlling sale to NBCUniversal in early 2012. Prior to KidsCo Paul was Managing Director/Senior Vice President of Walt Disney Television International based in London and Los Angeles where he created new channel brands Playhouse Disney and Toon Disney and was responsible for global Disney children’s television content production and broadcast. Paul was Managing Editor of BBC Radio 1 responsible for all programming and music and Head of Strategy for Radios 1, 2, 3 4 and 5Live pioneering the BBC’s future digital services and strategic development of the analogue networks. He has also been CEO of national commercial station Talk Radio, and Program Director of the Chiltern Radio Network and founder of Galaxy Radio. He is also a regular conference speaker, writer, contributor to podcasts and radio contributor. He has a BSc Hons and MBA (with Distinction) from Cambridge, Manchester and Bradford Universities.